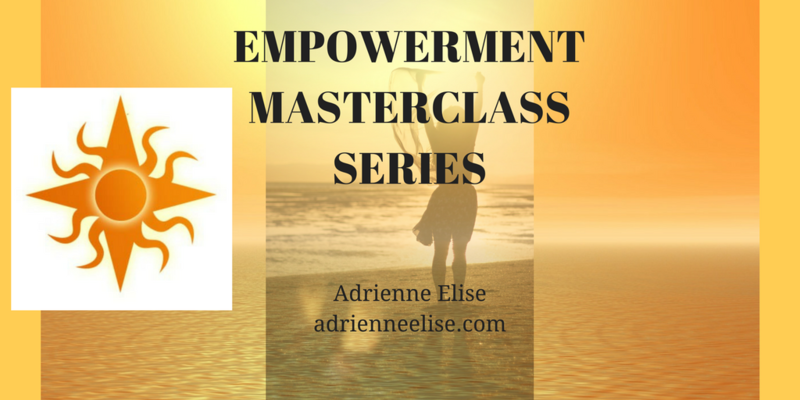 ​EMPOWERMENT MASTERCLASS SERIES – Are you ready to support others with your true gifts? Would you like to be a life coach, counselor, intuitive healer or support person? EMPOWERMENT MASTERCLASS SERIES is the core level preparation anyone needs for a career in helping others. For first, you must help yourself heal and activate before you can help others access their potential. The EMPOWERMENT MASTERCLASS SERIES is a class series designed to help you take back your power and activate your true gifts. You will learn to access more of your light and true potential. EMPOWERMENT MASTERCLASS SERIES is the best preparation to move into a healing or Empowerment profession. Learn to hold your energetic space and how to exercise healthy psychic boundaries. Learn to identify different energies and how they may be affecting you. REPLAY is immediately available if you can’t make the live class or for continued viewing. $20. Click here to sign up! In this class, we will explore the mysteries of the higher chakras and what might be in the way of accessing our intuitive guidance. The higher chakras are and intricate set of tools that allow us to connect to our higher self and internal guidance system. We will clear contracts and programming that may be interfering with our ability to activate, trust and enjoy our higher knowing. In this class, we will be working with issues around the 5th, or throat, chakra involving permission to express your true self. It is common to find pain pictures or trauma from past lives where you may have been persecuted for expressing your true thoughts, ideas, and feelings. The throat area is narrow, and holds concentrated energies from wherever we have been muzzled or quieted, taught to play small. We will systematically clear past life contracts and ancestral programming that limits your self-expression. As well as invite healing and activation of this most potent chakra area, the gateway to the higher chakras of intuitive knowing and true confidence. The heart holds the key to a fully activated and integrated chakra system and electromagnetic field. In this Session, we will clear, heal and harmonize issues of the heart chakra. This is about balancing giving and receiving, openness and boundaries, and finding spiritual safety. We will clear conditioning and past life programming that blocks us from our heart power. Our heart beat creates an electromagnetic field that reaches 50+ feet around our body. By journeying through the portal of the heart, the sacred heart space, we can better feel and know our connection to our higher self and the cosmos. Buy nowWhere are you, or are you not, owning your own power? In this class we will examine issues around our 3rd chakra. This is the chakra of confidence, personal power, and spiritual autonomy. This class is about ‘owning it’ and taking back our power from wherever we have given it away. We will release contracts and invite energetic healing to increase our permission to access our own power. Can you handle your own power? Do you deserve it? We will also clear any subconscious fears that may keep us from fully claiming our personal power. In this class, we will work with the issues that may interfere with our 2nd Chakra Actvation, the chakra of creative energy. Our reproductive system holds potent, miracle energy that most of us don’t feel we have permission to access. We will clear contracts and belief systems around owning the creative power that is available in our energetic field. We will integrate the lower chakras, continue to get to know the energetic field, and explore tools to strengthen and protect the psychic space. What is holding you back from your true potency? In this class we will explore issues of the 1st, or root chakra. Are you ready to come into your body, into this Earth realm, to fully arrive in your life? Sensitive souls and lightworkers often have trouble fully incarnating into a physical body on planet Earth. Forging a true connection with the living, breathing Mother Earth can help us activate and calibrate our lower chakras and feel safe to be our true self. In order to have boundaries and to get on your true path, you must first own your own psychic space. Ancestral, societal, and past life conditioning may be affecting your permission to fully express yourself in this life. This class is designed to help you claim your spiritual autonomy and your right to exist as who you really are, in a body, on planet Earth.